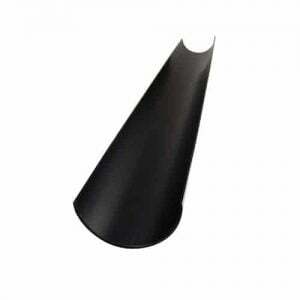 Please browse EasyMerchant’s huge stocks of plastic and cast iron guttering. 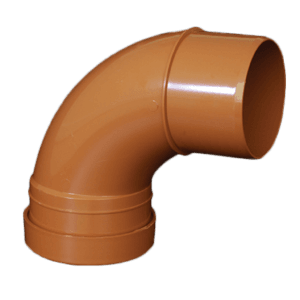 In half round, square, and ogee profiles we keep the full range of gutters, downpipes and fittings of each. 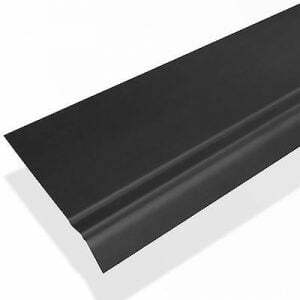 We also stock Brett Martin’s Cascade Cast Iron Effect guttering. High quality guttering from only well known industry leading manufacturers. Full ranges of Plastic Guttering and Cast Iron Guttering and Down Pipes. Half Round, Square and Deep Flow profiles in White and Black. 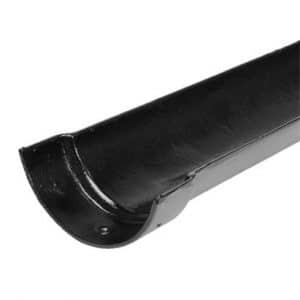 Primed Cast Iron Guttering in Half Round and Victorian Ogee and Brett Martin's Cascade Cast Iron Effect Guttering available now at low prices! The term 'gutter' comes from the Latin word 'gutta' meaning 'a fall' which afterwards developed to mean a groove carved into something, or a furrow made by water. In the past, rainwater downpipes were created using cast iron, although these days uPVC systems are the most common because of their simplicity of installation, long life and no need to be touched up with new paint. Guttering may also be produced from aluminium-alloy, galvanised steel, stainless steel, concrete and more. They come in many profiles, although rainwater downpipes are usually round and come in 4m lengths. They have a diameter 68 - 160 mm. 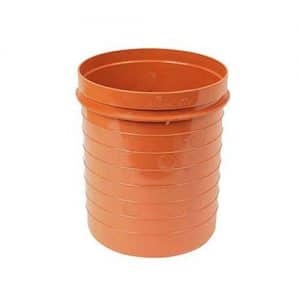 The guttering system may consist of lengths, bends, branch connectors, brackets, unions, hoppers and leaf guards on top, diverters and rainwater harvesting methods, angled shoes in the bottom, etc.. .
Downpipes have a propensity to become obstructed when debris such as leaves and twigs accumulate. To prevent this, they will need to be properly maintained, and are usually attached to a construction using brackets which can be easily removed for cleaning if needed. A rainwater guttering system, also called a gutter or guttering, is a part of a building's water discharge method. This protects the outside surfaces of the building and its bases from damp and potentially suffering damage. The size and quantity of rainwater downpipes needed will be based on the intensity of rain that is likely and also the region of the surface to be emptied. UPVC guttering is very easy to install with only standard hand tools necessary. It is fixed to the fascia board using the fascia board brackets and sits just above the soffit board and collects run off diverting it to the underground system. Only basic screws or nails, sealants or adhesives and fixings will be necessary to complete the job. We can also supply a full range of fascia boards, ogee fascia boards, soffit boards, dry verge and window boards and trims as well as pretty much any colour guttering you may need including the popular anthracite grey guttering so if you are in need then please feel free to contact us. EasyMerchant customer services staff are available to help determine the required dimensions and amount of rainwater downpipes if required. Free delivery is available on all orders over £120. The Building Regulation's Component H, Drainage and water disposal, demands that sufficient provision is made for rainwater to be hauled from the roofing of buildings. Approved document H suggests that to achieve this, roofs need to be outfitted with a suitable fall towards either a surface water set station or gutter which surface water into vertical rain downpipes, which then connect the discharge to the drainage system. The dimensions of guttering can be decided in the area of the roof (metres) and the anticipated rain intensity (litres/sec/sq. M - the quantity of water likely at a 2-minute rainstorm). There are a number of calculators that could be used to size gutters and rainwater downpipes based on this information.